Ar+ post-irradiation effects on magnetic behavior of Cu+-implanted ZnO single crystals were studied. 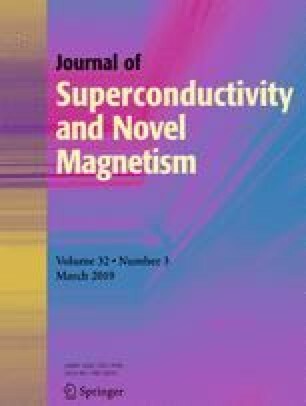 It was found that Cu+-implanted and Ar+-irradiated samples, even the primary sample, showed a magnetic moment (MM), but the saturation magnetization (MS) of Ar+ post-irradiated on Cu+ as-implanted one drastically decreased. Based on the first-principle method, it was drawn to the incomplete filling electronic configuration of the substituted Cu ion whose 3d orbital hybridized with O-2p contributing to the magnetism. The MM induced by the substituted Cu+ ion was much less than that induced by the substituted Cu2+ and Cu3+ ion, so the ratio of Cu2+,3+/Cu+ decreased after Ar+ post-irradiation, leading to the decrease of MS. The excessive concentration of O vacancy induced by post-irradiation also weakened the MM by their compensating electrons, and decreased the effective magnetic exchange coupling interaction. Cu-related clusters dissolution was also a critical reason for the reduction of MS. This work was supported by the National Natural Science Foundation of China (11575074), the Fundamental Research Funds for the Central Universities of Ministry of Education of China (lzujbky-2017-it39), Key Laboratory of Special Function Materials and Structure Design, Ministry of Education, Lanzhou University (lzujbky-2018-kb06), DSTI Foundation of Gansu (2018ZX-07), the National Key Research and Development Program of China (2016YFB0200504), Bureau of International Cooperation, Chinese Academy of Foreign Cooperation Key Projects (113462KYSB20160040), and the Strategic Priority Research Program of Chinese Academy of Sciences (XDA21010202).